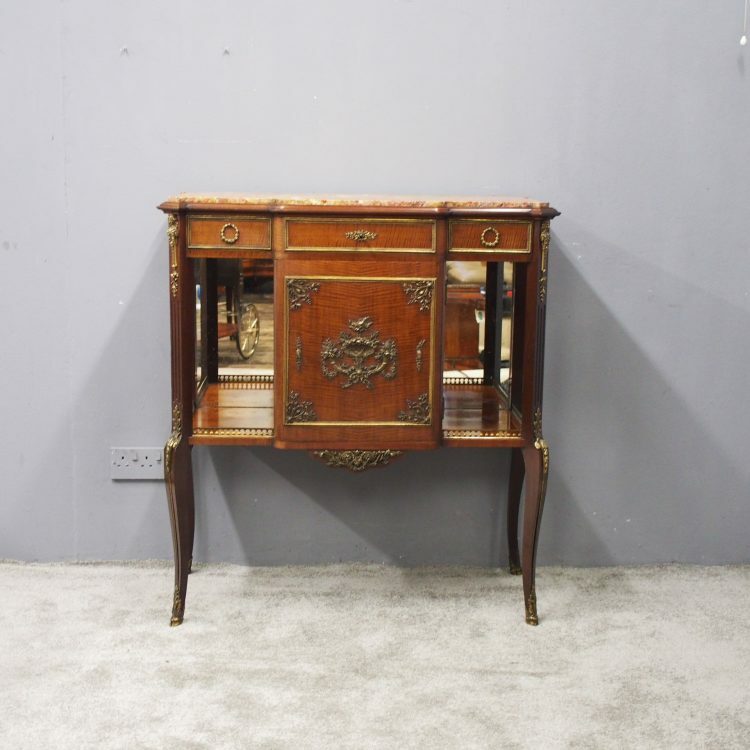 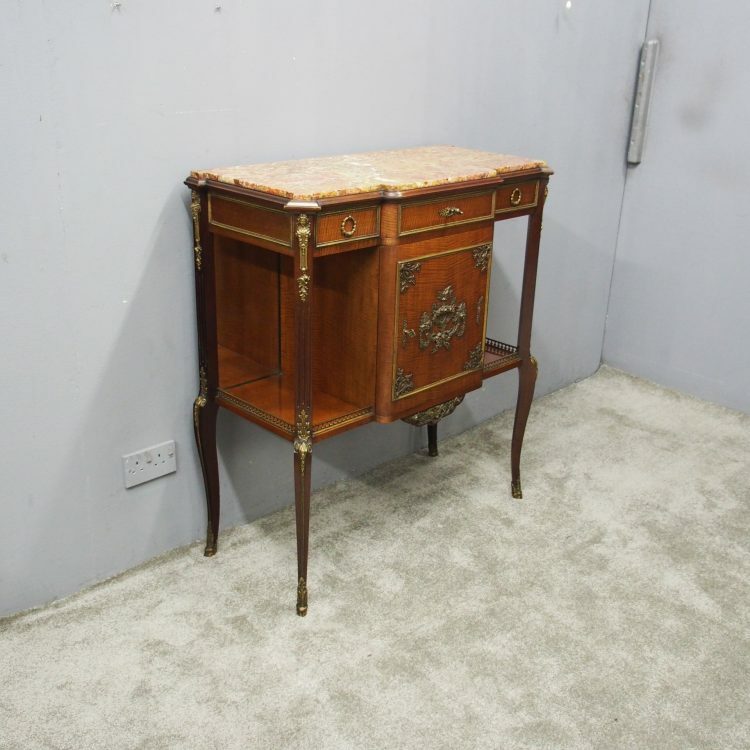 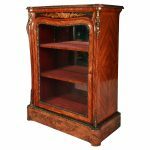 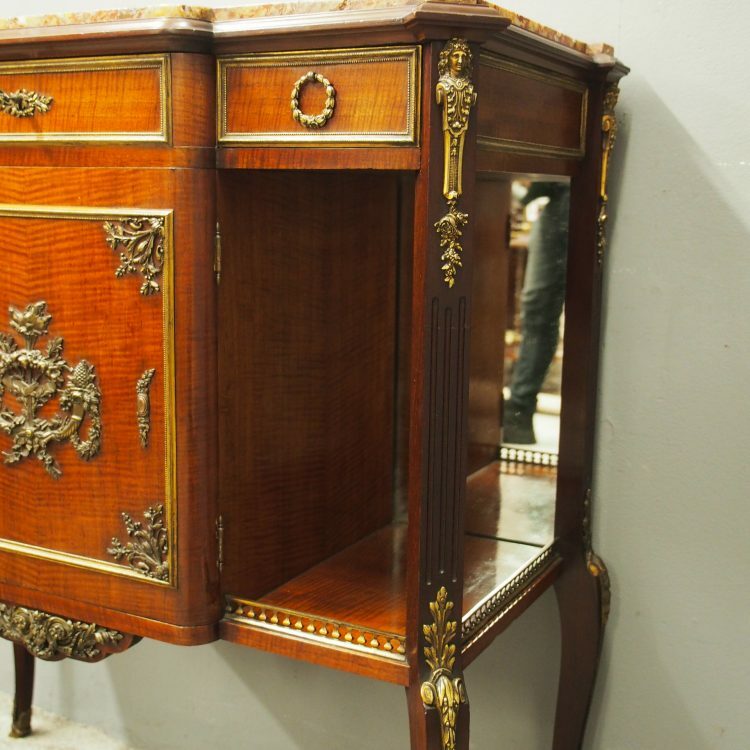 Circa 1870, exhibition quality French mahogany side cabinet. 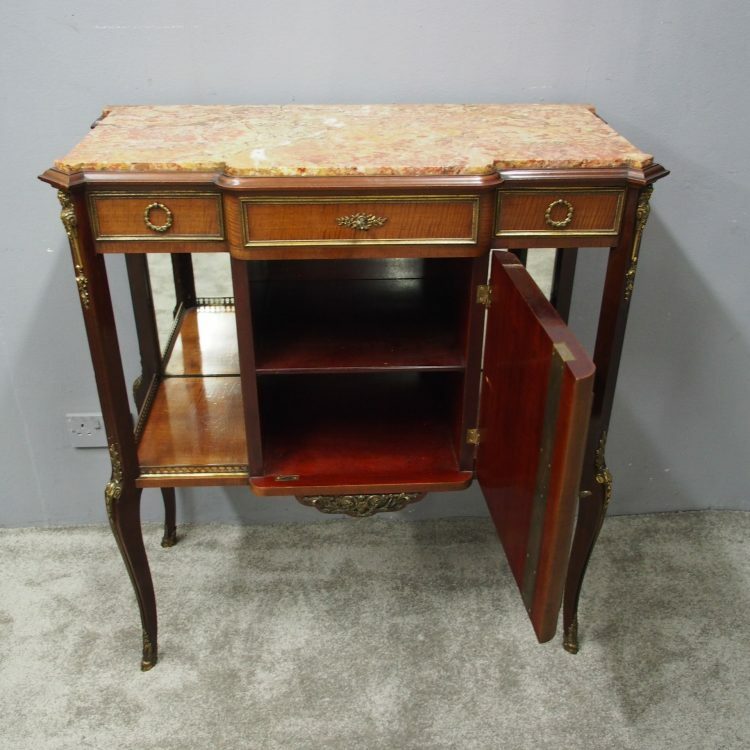 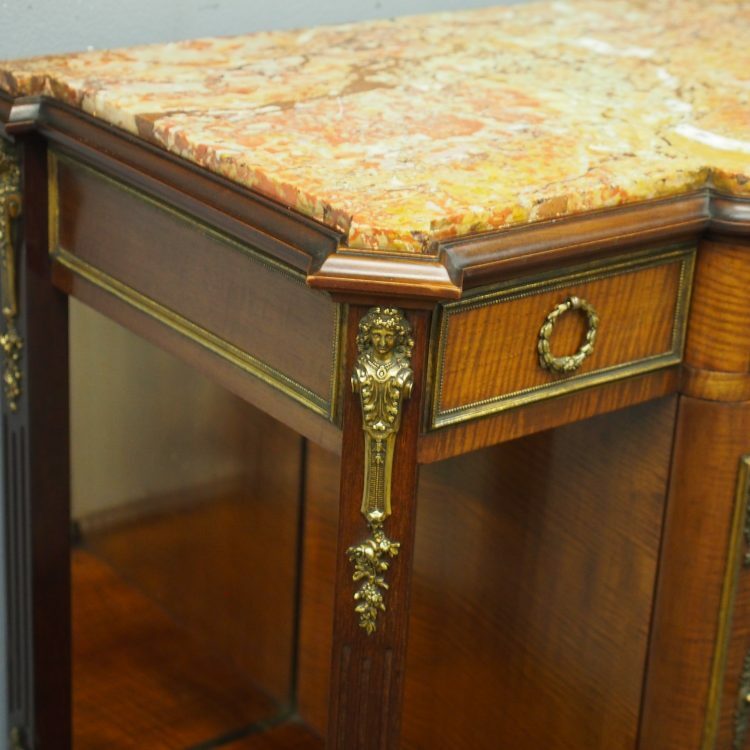 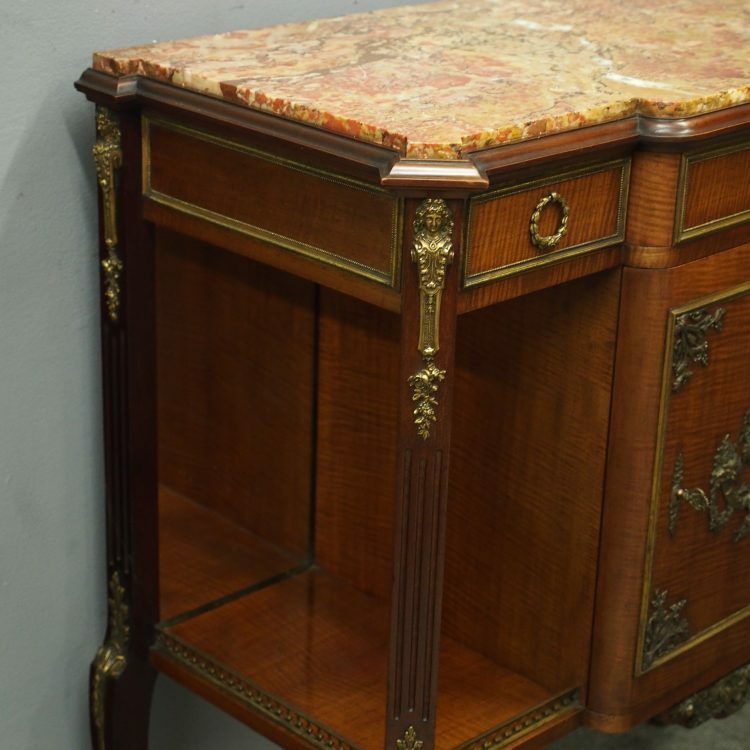 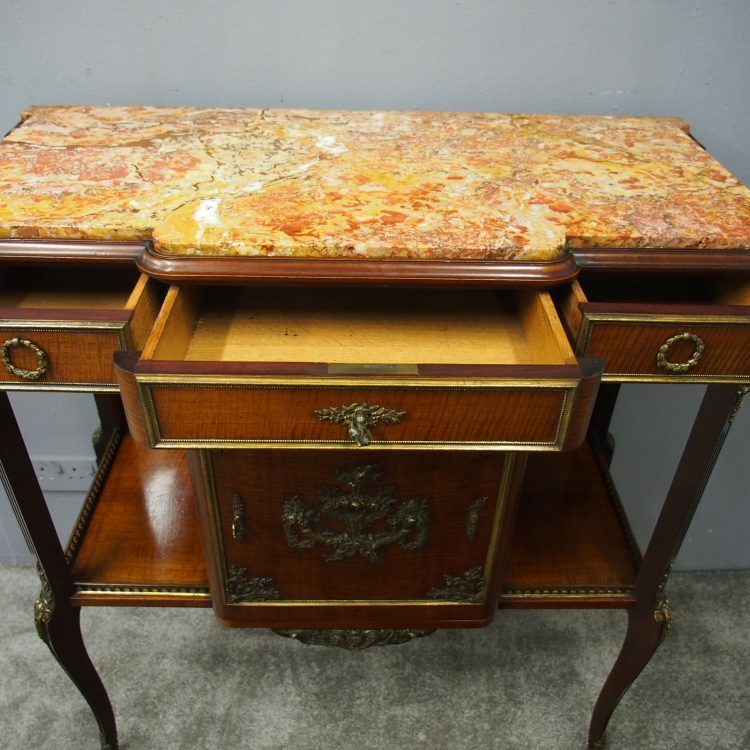 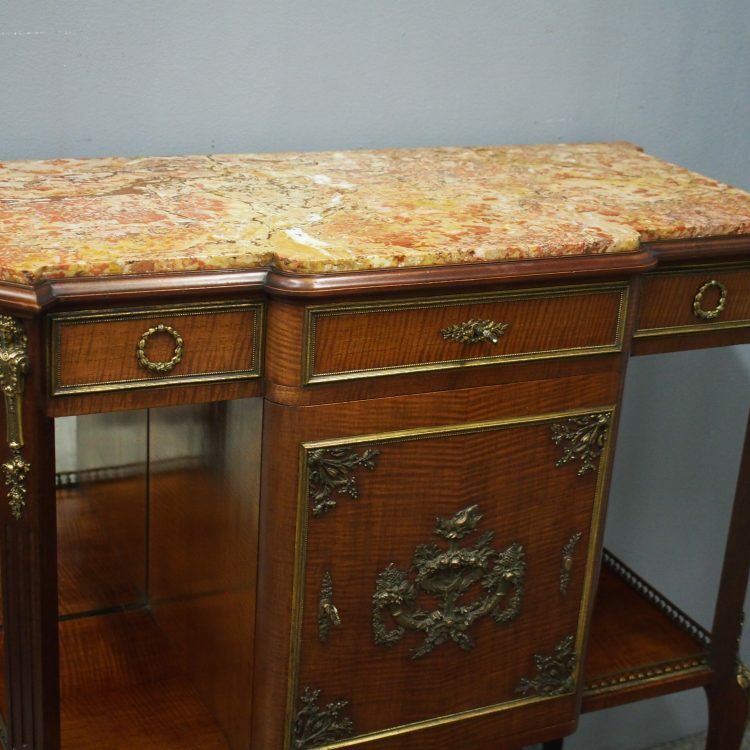 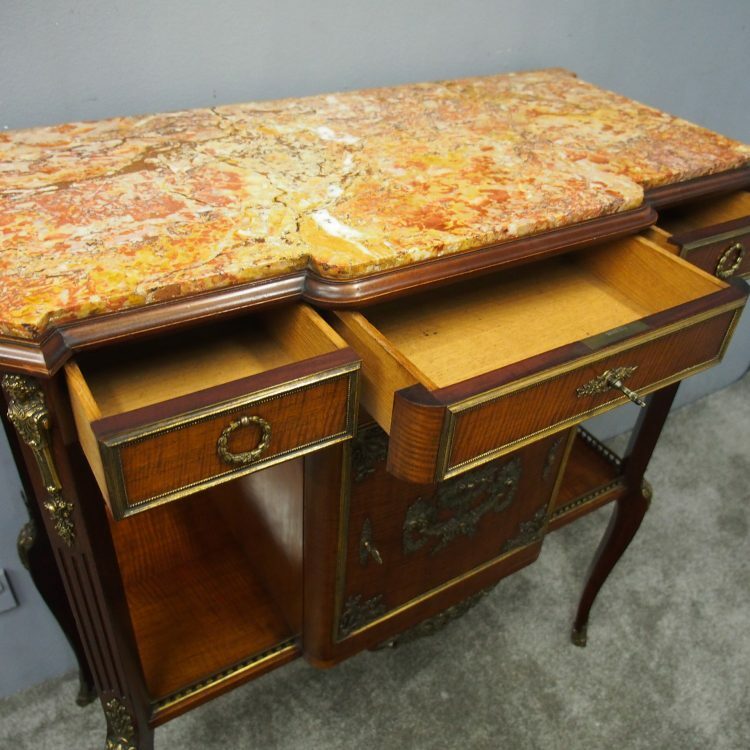 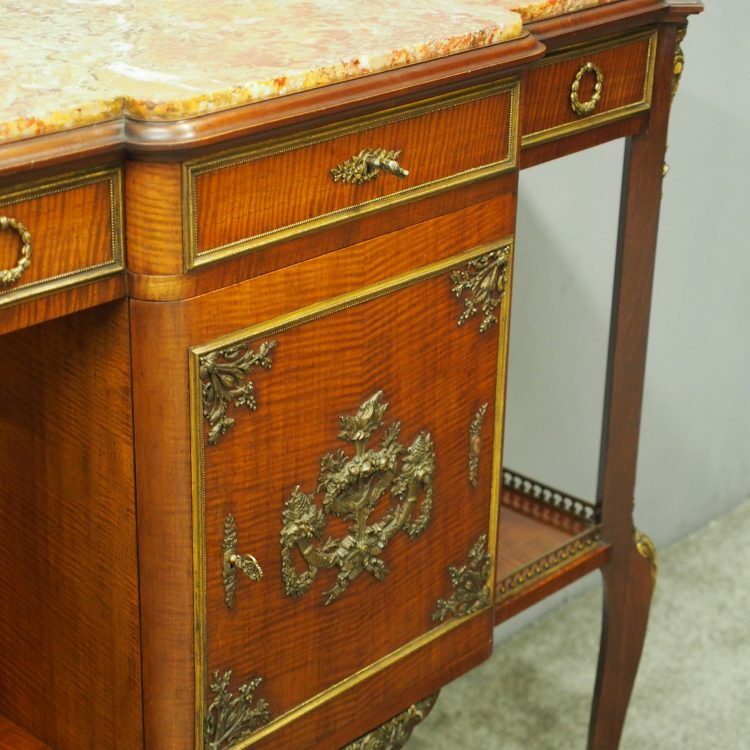 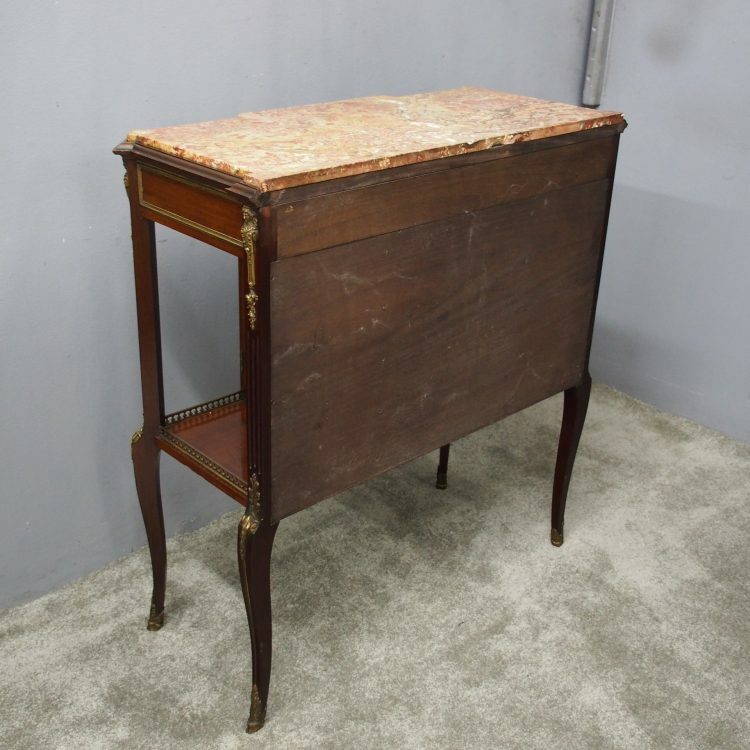 The breakfront top has moulded edges with a variegated pink marble inset over a frieze with 3 fiddle back mahogany drawers with ormolu mounts, oak linings and laurel wreath ormolu handles. 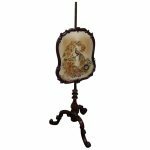 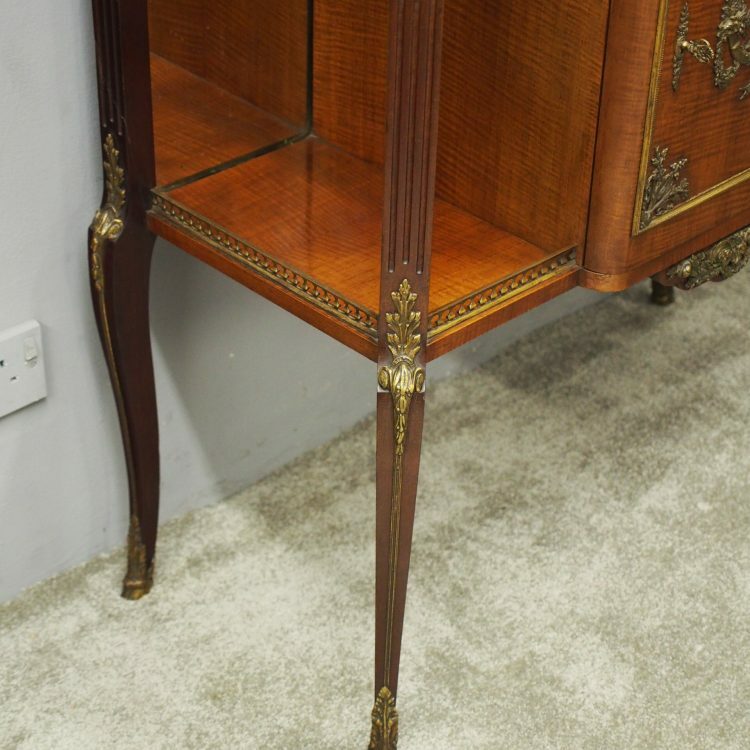 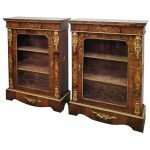 There is a central cupboard with moulded door and extensive foliate ormolu mounts and bandings, flanked by two open shelves with a low ormolu gallery and ormolu mounted, fluted canted supports over cabriole legs with ormolu sabots. 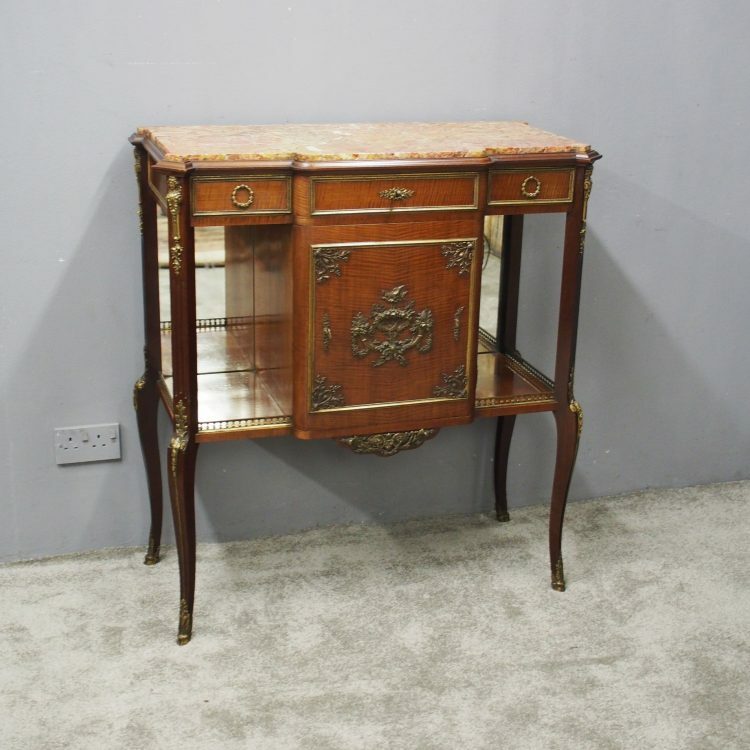 Size 103 cm high x 94 cm wide x 43 cm deep.